WASHINGTON (CNS) — U.S. Catholics line up like most of their religious counterparts in the country in how they regard the teachings of the Ten Commandments, according to a survey commissioned by the Deseret News and released March 28. The study, “The Ten Today: Honesty in the Digital Age,” put more emphasis on lying — “bearing false witness” in Old Testament-speak — than any of the other commandments. There, too, Catholics were very much on par with other believers’ attitudes. 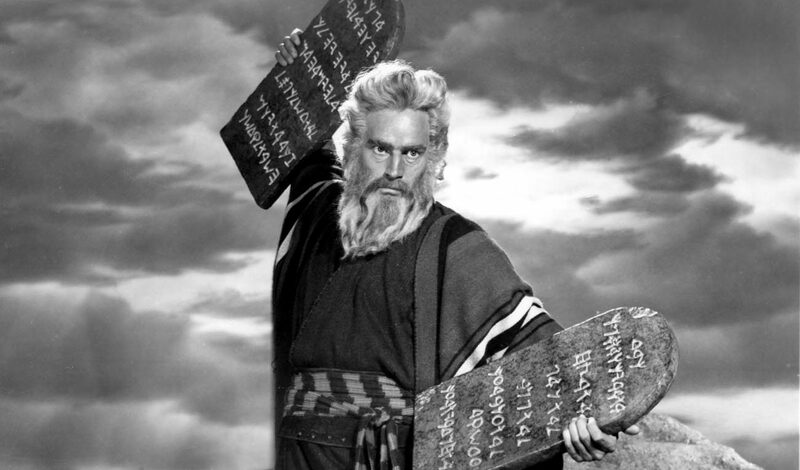 A clear majority — and, in most cases, a supermajority — of survey respondents said nine of the Ten Commandments are still important principles to live by. The prohibitions on murder, stealing and lying each garnered more than 90 percent support. Honoring one’s father and mother and not committing adultery each registered 80 percent-plus support. Women had stronger support for all of the commandments, and Americans registered stronger support than Britons in an earlier poll which, like the Desert News poll, was conducted by YouGov. The only commandment not to win a clear majority still had plurality support: keeping the Sabbath holy, with 49 percent saying it was an important principle, with 37 percent disagreeing, and 13 percent saying they didn’t know. Catholics registered majority support for all the commandments, with the least-supported commandment, keeping the Sabbath holy, coming in at 59 percent support. Protestants of all stripes registered even stronger support, while unaffiliated Americans were below other respondents, as four commandments failed to gain majority support. When it comes to lying, Catholics were either at, or just below, the rest of the survey population in most situations when people can lie, except for calling in sick to work or lying to children about a parent’s past misbehavior. There, a slightly greater percentage of Catholics said it was OK to lie. Other situations dealt with in the survey included lying to one’s spouse or partner about an affair, cheating on one’s taxes, a parent lying to a child’s teacher to protect their grades, inflating one’s resume to get a job, exaggerating the facts to make a story more interesting, passing off staged or edited photos on social media to look impromptu and untouched, and making oneself look 10 or more years younger in an online dating profile. A majority of evangelical Protestants said it was never OK to lie in those situations, while mainline Protestants were less strict about lying. Those who profess no religious affiliation were more OK about lying, as did those who said the level of their religiosity was low. Generally, the younger the age group, the less culpability they had about lying. When the topic shifted to electoral candidates, 64 percent said lying would “be a deal breaker” for a presidential candidate, and 71 percent said the same about a gubernatorial candidate. “Perhaps with President (Donald) Trump in mind, 55 percent of Republicans say they would still vote for the presidential candidate even if they found out he had been lying,” the survey said, more than twice the rate of independents (27 percent) and nearly double that of Democrats (30 percent). Women are less likely to back a lying candidate. The study interviewed 1,523 of Americans; an additional 250 Mormons were interviewed to allow for comparison purposes by the Church of Jesus Christ of Latter-day Saints-operated newspaper, which is based in Salt Lake City. The margin of error for the general population was plus or minus 3.1 percentage points.